The most basic and general meaning of the word fraternity is ‘a group of people sharing a common profession or interests’ (COED), sort of like a social club. 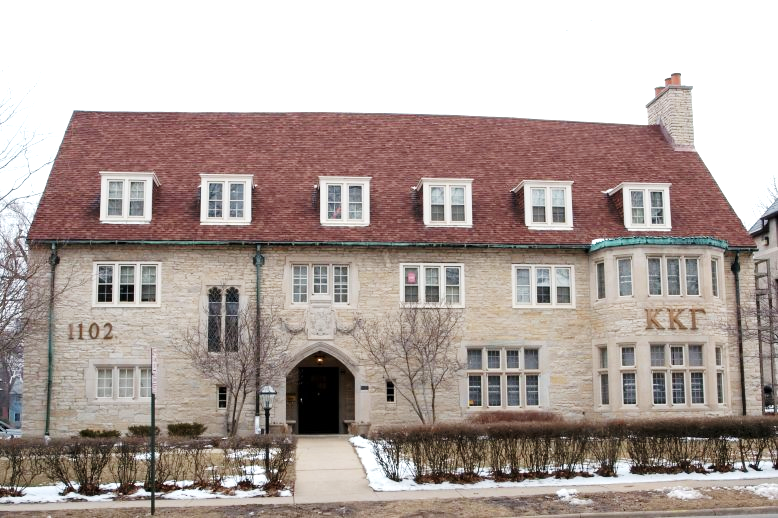 Modern fraternities developed from the medieval artisan guilds. However, in the United States, the word fraternity is used nowadays primarily to refer to ‘a male students’ society in a university or college’ (COED), in particular one that has a fraternity house (or frat house) where its members reside, a sort of glorified residence hall. Such societies have existed in the US since the 1770s. The word fraternity comes from Old French fraternite (Modern French fraternité), equivalent to the native English word brotherhood. It comes from Latin fraternitas ‘brotherhood’, a noun derived from the adjective fraternus ‘fraternal’, itself derived from the noun frater ‘brother’. The female equivalent of a fraternity in US colleges and universities is a sorority, a name derived in recent times from the Latin word for sister, soror. The term sorority means ‘a society for female students in a university or college’ (COED) and it is only used in North America, since, as in the case of fraternities, this institution does not exist in other countries, even in the English-speaking world. Modern university fraternities started as (academic) honor societies and their Greek-letter names have that origin as well. An honor society is ‘a society for the recognition of scholarly achievement especially of undergraduates’ (MWC). [iv] One such honor society is Phi Sigma Iota, the International Foreign Language Honor Society which includes “modern foreign languages, but also Classics, Linguistics, Philology, Comparative Literature, Bilingual Education, Second Language Acquisition and other interdisciplinary programs with a significant foreign language component”. [v] Phi, Sigma and Iota are the Latinized names of the Greek letters Φ (Phi), Σ (Sigma), and Ι (Iota), as we will see in some detail below. To understand the use of Greek letter names in the names of these honor societies and fraternities we need to understand first of all the importance of classical languages in education prior to the 19th century. Until the early 1800s, higher education in the West involved primarily the study of Classical Latin and Ancient Greek. Students were required to have studied Latin for many years before they could even apply to enter a college or university to get an undergraduate education where Latin figured prominently. In college, Ancient Greek was considered to be even more prestigious than Latin, since even the Romans, the original speakers of Latin, considered Greek culture and language to be the pinnacle of civilization and borrowed copiously from the Greeks. But whereas Latin was a major subject in high school for the few planning to go to college in those days, one had to go to a university in order to learn Greek. These two classical languages and the study of “the classics”, that is to say, “the works of ancient Greek and Latin writers and philosophers” (COED), was central to higher education before the development of the modern sciences. Many of the older Ivy League universities have words in their crests or logos in one of those classical languages. Thus, for instance, the “crest or arms” for Harvard University, which was founded in 1636, contains a shield, three books, and the word the single Latin word veritas, which means ‘truth’. 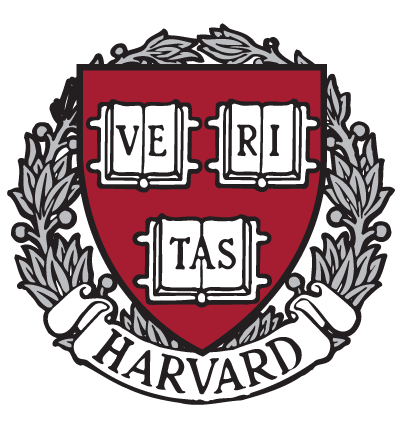 There have been two other mottos for Harvard University in the past, both in Latin: In Christi Gloriam ‘For the glory of Christ’ and Christo et Ecclesiae ‘For Christ in the Church’, but Veritas seems to have been the earliest one and it is also the current one. The official motto of Yale University, founded in 1702, which appears in the university logo, is actually in Hebrew, namely אורים ותמים which is transliterated into the Latin alphabet as Ūrīm wə-Tummīm. It is a phrase from the Hebrew Bible, found in the breastplate worn by the High Priest. It has been translated as Lights and Perfections or Light and Truth. 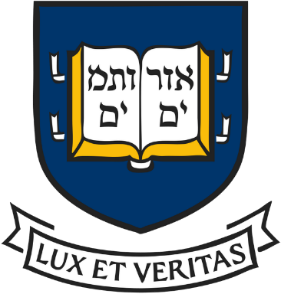 The official crest of Yale University also has a Latin version of this logo, Lux et Veritas ‘light and truth’, added for good measure, as you can see below. As we mentioned earlier, honor societies—and thus fraternities—came to be characterized by names containing Greek letters, typically three of them. The first honor society to use Greek letters in its name was the Phi Beta Kappa Society, an academic honor society founded in 1776 at the College of William and Mary. Instead of choosing a Latin motto, like most other such academic organizations did at the time, they chose the Ancient Greek motto Φιλοσοφία Βίου Κυβερνήτης, which is transliterated into Latin script as Philosophía Bíou Kybernḗtēs. This phrase translates into English as Philosophy is the Guide of Life. This three-word phrase was abbreviated by the names of their first letters of the words in this phrase ΦBK, transliterated into Latin as Phi Beta Kappa, and eventually that became the name of the honor society. Other organizations started imitating Phi Beta Kappa’s naming format, resulting in numerous other honor societies with Greek letters in their names. At first, these societies were elite academic organizations or societies at colleges and universities, and their three letter names stood for actual mottos, as in the case of Phi Beta Kappa. Such societies came to be called fraternities after the Latinate word fraternity, as we saw earlier. 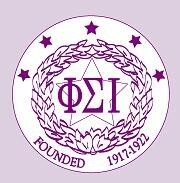 The first all-female societies were known as female fraternities, though later they came to be known as sororities. Fraternities and sororities are also known as Greek letter organizations (GLOs). As we just said, originally fraternities were more like social clubs, literary societies, and honor societies, from which they had developed. Eventually, some of these societies came to have buildings or residential houses where their members resided while attending college. That was the origin of fraternities as we know them today. 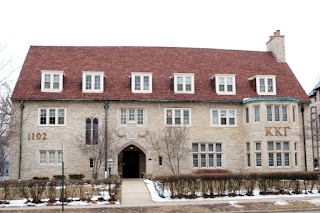 The first one such fraternity house is believed to have been the chapter of Alpha Delta Phi at Cornell University, in the late 1800s. As we saw, it wasn’t until the mid-to-late 19th century, when the study of Ancient Greek and Latin ceased to be a major part of higher education, that the use of Greek letters in the names of these Ivy League schools’ social organizations or fraternities really took off. Eventually, the Greek-letter names of the new societies did not really stand for anything or represent a motto like they did in the case of Phi Beta Kappa, though in some cases words were derived from the letters in the names after the fact. Note that not all honor societies and fraternities are named this way, though most of them are. Some societies that started with other names, such as Adelphean Society, founded in 1851 at Wesleyan, a women’s college in central Georgia, was later renamed Alpha Delta Phi. Let us go back now to the name Phi Sigma Iota, the main honor society in the US for students of foreign languages. This society was created in 1922 and currently has 161 chapters and over 40 thousand members, some of them at Salem State University. It is not clear that those Greek letters stood for anything in the beginning, but eventually they came to stand for the words φῐλότης (philótēs), meaning ‘friendship, love, affection’, σπουδή (spoudḗ), meaning ‘zeal; haste; earnestness’ (and in Modern Greek, ‘education’), and ῐ̓δῐ́ωμᾰ (idíōma) meaning ‘peculiarity, specific property, unique feature’ in Ancient Greek. Speakers of Spanish will recognize this last word as being the word for ‘(foreign) language’ in this language and in other languages, such as English, this word has come to have meanings related to language as well. In later versions of Greek, ιδίωμα (idíoma) came to mean ‘dialect (language variety)’and ‘idiom, peculiar phrase’, in addition to ‘peculiarity, habit’. This Greek word was borrowed into Latin as ĭdĭōma with two the first two of these meanings, namely ‘a peculiarity in language, an individual’s peculiar form of speaking’ and also ‘phrase with a peculiar meaning or idiom’. The English word idiom, borrowed from Latin through French, still has those two meanings, though the second one is more common. In Spanish, the word was borrowed from Latin some 500 years ago as idioma, with the same meanings, but eventually it came to be used for ‘the language of a nation’, synonymous with lengua ‘language’, which also means ‘tongue’, but typically only in the context of foreign languages. Let us look at the three letters of the name Phi Sigma Iota. In Archaic and Classical Greek, the letter Phi (ϕεῖ in Greek), written uppercase Φ and lowercase φ or ϕ, was pronounced like an aspirated P, much like the English P in the word pan. This letter came to be pronounced as our F in the later part of Classical Antiquity, in Koiné Greek, the Greek used in the eastern Mediterranean at the beginning of our era as a lingua franca when the Romans took over this region. The Romans did not have the aspirated P sound. The Latin letter P represented the sound of an unaspirated P, like the Greek π (pi), and like the P in the Spanish word pan, the Italian word pane, or the French word pain, all of them meaning 'bread'. The Romans borrowed many words from Greek that had this letter, and rather than borrow the letter itself, as they did with other Greek letters that did not exist in Latin, they transliterated it into their alphabet as PH. English has borrowed many of these Greek words from Latin too. Actually, any English word that has PH in it, from photography to physics, ultimately comes from Greek (usually through Latin). In English, we pronounce PH in such words like an F, of course, the way Phi came to be pronounced in Koiné Greek. Spanish also borrowed many of the same words, but in the 19th century it was decided to change the PH spelling of these words to F, for the sake of consistency. Hence photography in Spanish is fotografía, and physics is física. The letter is known in English as Phi, pronounced like fye, though in the name of the honor society, the more common pronunciation is like fee. The Greek letter Sigma (σίγμα) had the upper-case form Σ and two possible lower-case forms, σ and ς (the latter is used only in word-final position and the former, elsewhere). In Hellenistic times, a stylized version of these letters was used, which look like the Latin letter C: upper-case C and lower-case c. This is the source of the letter for the s sound in the Cyrillic alphabet used in Slavic countries such as Russia and Bulgaria which was derived from the Greek alphabet. Greek Σ was equivalent in sound to the Latin letter S.
Finally, the Greek letter Iota (ιώτα) was (upper-case) Ι or (lower-case) ι, was fully equivalent to the Latin letter I. Note, however, that the lower-case Greek ι did not have a dot, and neither did the Latin I. The dot would not become part of the letter I in languages with the Latin alphabet either until much later in the 11th century as a way to distinguish the I’s stroke from other letters’ strokes in cursive. A variant of this letter would much later become a separate letter, namely J. The name of this letter in Spanish is jota, which comes from the Greek name Iota.